We are a full-service pharmacy and gift store proudly serving Pass Christian and the Mississippi Gulf Coast. We serve all of your pharmacy needs, including prescription compounding, with exceptional service. A full 50% of our store provides unique opportunities for home decorating, home fragrances, memorable gift giving, apparel and accessories, and monogramming. We also offer free gift wrap as our gift to you. 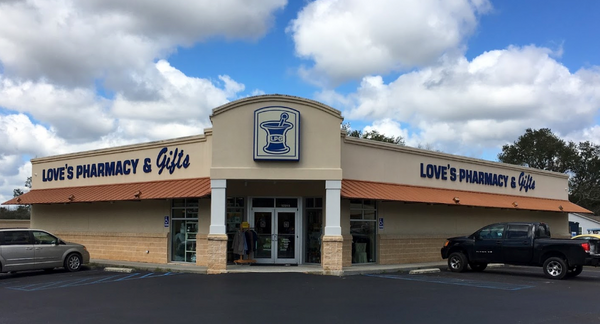 If you are coming to Love's Pharmacy & Gifts to fill a prescription, pick up a gift, or choose from our fashion forward apparel collection; we promise to serve you with a smile. We understand nothing takes the place of face-to-face service, but we have made every effort to make this website easy for you to find what you want, when you want it, and most importantly, without hassle. We welcome your suggestions and encourage any feedback.